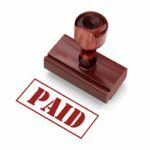 Is it possible to live debt free? So far, we have lived debt free. We used to live paycheck to paycheck because our spending was out of control, but luckily we never got into debt. Once we got our act together, not having any debt was tremendously helpful in quickly building our net worth up. A couple of weeks ago, a conversation with a fellow blogger sparked an interesting topic. In his opinion, it is impossible to live debt free before anyone turns 50. He added that, our society is credit based, and thus it is simply not possible for normal people. Some people do it, but they either have to be extreme frugalists who live like hermits or trust fund babies who had everything given to them. I am not so sure. Is it really impossible for people who make an average living to live without any debt? 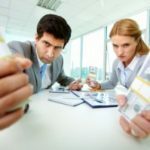 Everywhere we turn, be it the news, the radio, the internet or friends and acquaintances, everyone will emphasize the fact that our nation has embraced debt. We are comfortable carrying debt as long as we are making payments. It is difficult to break out of that mind set and choose to be debt free. We have to break free of the ingrained tendency to think that debt will fix all problems. There was a time in America when everyone got by with what they made and lived debt free. Credit cards, layaway programs and easy access to credit have all made it extremely easy to get into debt. We have to think long term and decide that enough is enough. Debt is not a solution; it is a hurdle to freedom. The only thing that saved us from going into debt even when we were living from paycheck to paycheck is our hatred of debt. So having that mind set itself is winning half the battle. It is possible to live debt free. But we have to choose to do so. Once the main obstacle of cultivating the debt-free mind set is crossed, the implementation is comparatively easier. Setting priorities: The main priority in this case is to be debt free without living like a pauper. To achieve this, we have to prioritize our spending. What is more important to you? A flat screen TV now or a mortgage free house later? A fancy dinner out every day or a great memorable vacation later? Breaking bad financial habits: Habits define us. We do a lot of things out of habit instead of making a conscious decision to do so. We might not even realize that we are burning money on something we don’t enjoy because we do it over and over again. Analyze your spending habits and see if they align with your priorities. If not, it’s time to break bad financial habits and introduce some good ones. Understanding financial weakness: All of us have our weaknesses. Ours is eating out. We are currently going cash only for just our food expenses, because we found that even though we are disciplined in other areas of credit card use, we tend to spend 25-40 percent more on food when we use credit cards versus cash. Cash makes us think twice about eating out or buying more than we need. It takes a lot of courage to be debt free because it is a lonely place. People will question your every decision; they will criticize your way of living and dismiss it as foolishness or assume you are swimming in money. Choosing to live debt free means you will have to think long term and master delayed gratification. It takes a strong resolution to ignore all the negative influences and keep plowing ahead with the reward in mind: freedom. Is it possible to live debt free in America? Absolutely! As I mentioned above, we are currently debt free. Will we remain debt free forever? I cannot say for sure. We are planning to take a mortgage sometime in the future. What changed? We no longer hate debt. I don’t believe there is good debt and bad debt, but I believe in my math. Even though we have close to enough to buy a house outright, it make more sense for us to keep that money in investments as the mortgage rate is a lot lower than what that money is currently making. Now I understand some people prefer to be debt free, period. It gives tremendous peace of mind. We choose to arrange our money by making it work for us with the maximum potential. That will be our first step in debt, if we feel uncomfortable; we could always pay it off. We feel this is the best path to build our wealth. Other than the mortgage we plan to always remain debt free. Knowing the implications of debt while young could make a profound difference to western societies. I am still flabbergasted that schools do not teach anything on personal finance at an early age. Having the knowledge I now have on personal finance I’ve decided never to get into debt again, it’s such a burden to use your income to service your debt, it feels like imprisonment. Anyway if I did have the knowledge when I was 18 – 20 I think my life would be far better. Education all the way! You’ve got that right! More power to you. @ Prudence Debtfree – I am 25, grew up in US and I can honestly say that I hate and don’t have any debt. I’m surrounded by it every day of my life, but I choose to live mine debt free. Why? Because I have a mature outlook on debt (which most still develop, but usually much later in life). Debt kills your income and reduces your ability to save and invest. If I was to have debt, I know I would never be wealthy. I would rather stay away from instant gratification and reap the rewards later in life. You’re a thirty-something family man who is debt-free and who is in a position, if you so choose, to buy a house outright. Wow! I’m impressed. Here is my question: You say that you never got into debt because you always hated it. How did you develop a hatred of debt? Most of us who have grown up in Western society have been ingrained with the notion that debt is inevitable and even useful. I am only now (almost 50) learning to “hate debt”. What made you steer clear of debt in your youth? While debt may be the norm in the current consumer society, it’s definitely not the smart financial decision. When you acquire debt, you tie up your income because of the monthly payments. Most Americans will do this until almost all of their income is going toward their monthly payments. When they get laid off (like so many did in 2009-2010), they realize they were 2 paychecks away from bankruptcy. Goodby expensive cars and house! 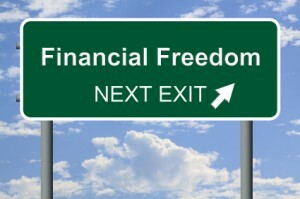 In the U.S. it is much more difficult to live debt free because this is such a consumer society. I’ve lived in two other countries where it is quite common to pay off a mortgage in 10 years and be mostly debt free. My preference is to live a good life, but do it responsibly. That usually means living fairly debt free. Yes, if anyone wants to live honestly & make a strong future that lies within his grasp. However your debt free points & views are also important to make a debt free life also considering most of these points useful under a positive mindset person’s thinking. Thanks for sharing anyway. I agree with Jenny, while mortgage and even student loans are debt, it should be differentiated from consumer credit card debt. I have student loans with interest rates of 2.2% and I am in no rush to pay them off. As for real estate, living in NYC…I’m not sure if I will be able to completely be mortgage free by 50 (well I’m renting now, but in the future!) Otherwise, I don’t understand when people complain about living pay check to pay check and being in debt(credit card). Living a debt-free life is one of the best freedom you can experience. But how are you going to do it if you are restricted to spend your own funds? Well, I need to thank your suggestions here but I want to hear what you can say about http://ouroptionfairreview.com binary options broker review, I have read how you can make money online out of it but I want to hear what you guys have to say about it? My partner and I have been living debt free for the last 3 years. I’m 48 and she’s 46. We paid our house off 3 years ago and that was the only debt we had. I paid a brand new 2005 Lexus 300 off in 3 years and my partner paid a truck off in about the same time. Our combined gross income is about $175,000/year. Our main expenses are eating out. We are frugal but not cheap. We don’t spend money on useless “things” or token gifts for other people; if we give gifts, we give the gift of a concert or event we can share with the loved one. We don’t buy perfume, jewelry, those expensive candles all the ladies sell or designer clothes. We know that time is precious on this earth and we have our priorities straight. It’s not important to us to keep up with the Jones’. We live simply but comfortably. We could afford many things we don’t have. Life is not about things… it’s about growth, relationships, love, compassion and giving back. It is absolutely possible to live debt free. I’m in my 20s and have no debt. Yes, my parents helped me through college. But now I’m on my own, contributing to retirement accounts and saving responsibly without living in debt. I can’t imagine I’m the only one doing it either. There’s a huge difference between personal debt and business or investment debt, too. We;ll have no personal debt at 50–we’ll have paid off the house by then. But if we get into real estate, we will not want to pay off those mortgages early. Cathy, mortgage is a debt (as you point out), so you’re not working with all the facts. My argument for debt-free living is not morality- or religion-based. It’s comfort based. I made my last house payment in 1995 at age 40. Until you live debt free you will never know the serenity and peace of not owing anyone any money at all. Living in a house you own, free and clear, for instance, is like no other feeling I know. What always makes me sad is the notion I encounter so very often, that owning a home free and clear is impossible. When I encounter someone with that idea, and point out to them how achievable that goal can be, people are dumbstruck. It’s like I’m suggesting they can develop the ability to fly. I’m 57 and retired. I have absolutely zero debts. I recently bought a car for cash; the dealership was at a bit of a loss at how to handle the transaction. Apparently NO ONE has ever written them a check for the full price of a vehicle before. So do it for whatever reason you like — because the Bible says to, because you think it’s a moral good, because it simply gives you peace of mind. But do it. I guarantee you will NOT regret it! Of course it’s possible to live debt-free. But why would you want to? Freedom from debt is no guarantee of a happy well-lived life than debt is. Instead of laying on the morality, this article may have been more helpful if you laid out the pros & cons of each. Debt, like money, is just a tool. It can used for both good & bad. I say this as someone whose only debt is a mortgage (no student loans, no car loan ever), so I’m not trying to justify my own habits. It’s definitely possible to live debt-free before 50… that seems like a straw-man argument. Whether it’s possible or even a good idea to live always debt-free is another question. 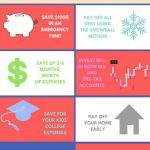 If you’re lucky enough to get great scholarships in college and can save up some money from part-time work (without hurting your studies) and you get a job right out of school… or you get a great job right out of high school… then it might be possible to avoid student debt, and rent until you’ve saved up to pay cash for a house. And, of course, there’s always getting money or free housing from your parents as an option to live debt-free, if they’re willing to go for that. But for most of us, there’s some student loan debt and some housing debt, and so long as both are sensible, they can be paid off in a reasonable time frame. I totally agree – it is very possible to live debt free before 50. We aren’t there yet, but we are raising our 4 kids in a very nice house on about $65k a year AND paying off our debt. Many families make much more than this, and could easily sock the extra toward debt payoff. It’s all about making spending choices. The family committed to living debt free may not always get to do everything, all the time, but they certainly can live debt free. Of course it’s possible to live debt free. Simply spend only what you have! Could that require some sacrifice and frugality? Sure….I’m not saying it’s easy. But it is possible. Debt is a form of slavery (see the Bible). I’d rather be a frugal free man than a slave to my creditors.